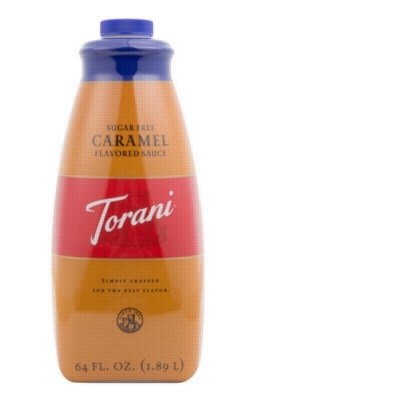 Torani Sugar Free Caramel Sauce allows you to enjoy all the rich, buttery flavor of caramel with none of the worry. It is the perfect addition to any espresso-based drink. Caramel can be salted for even more flavor. Sweetened with Splenda. INGREDIENTS: Purified water, vegetable glycerine, polydextrose, maltodextrin, heavy cream, butter, modified food starch,natural flavor, salt, caramel color, soy lecithin, mono-and diglycerides, potassium sorbate (to preserve freshness), carrageenan, xanthan gum, pectin, sucralose (SPLENDA brand).